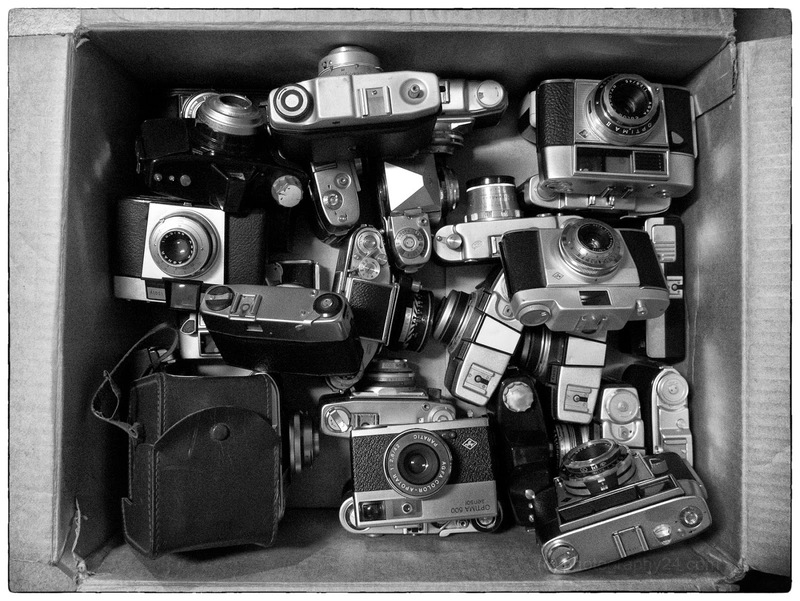 I collected quite some 'consumer' cameras from the 50's and 60's, just unwrapped these cameras to be displayed on a shelf or stored in a dry cabinet. Not worth a lot, but they all still work fine and its fun to look at these old clunky metal bodies. Mostly Agfa Isoly, Click, Clack, Isolette, Silette and others. I did not touhch this box since moving back to Europe 15 months ago. Btw, they were all wrapped, I just set this up for the picture. What a contradiction to take a box of film cameras with a digital camera and then fake the bw image.